As North American railroads began replacing war-weary equipment, many turned to Pullman-Standard and the brand-new 40' PS-1 boxcar. Based on early postwar cars built from 1947 to 1949, this new WalthersMainline model is a great addition to steam- and diesel-era layouts, as some of the protoypes were still in service into the late 1980s. 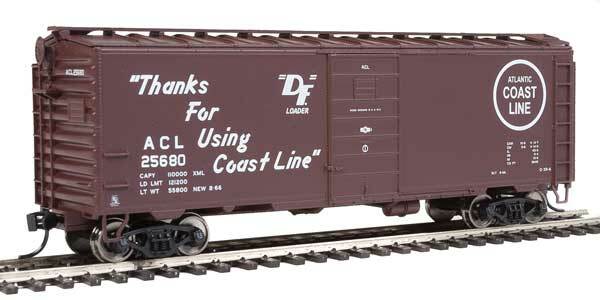 Copy this 40' PS-1 Boxcar to your MY ROLLING STOCK roster.